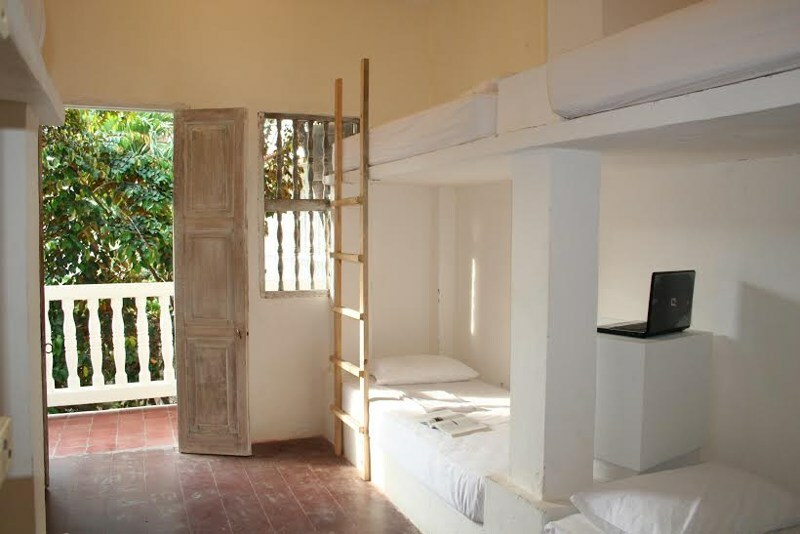 Overview: Getsemani's Media Luna Hostel has established itself as the backpacker destination in the city. 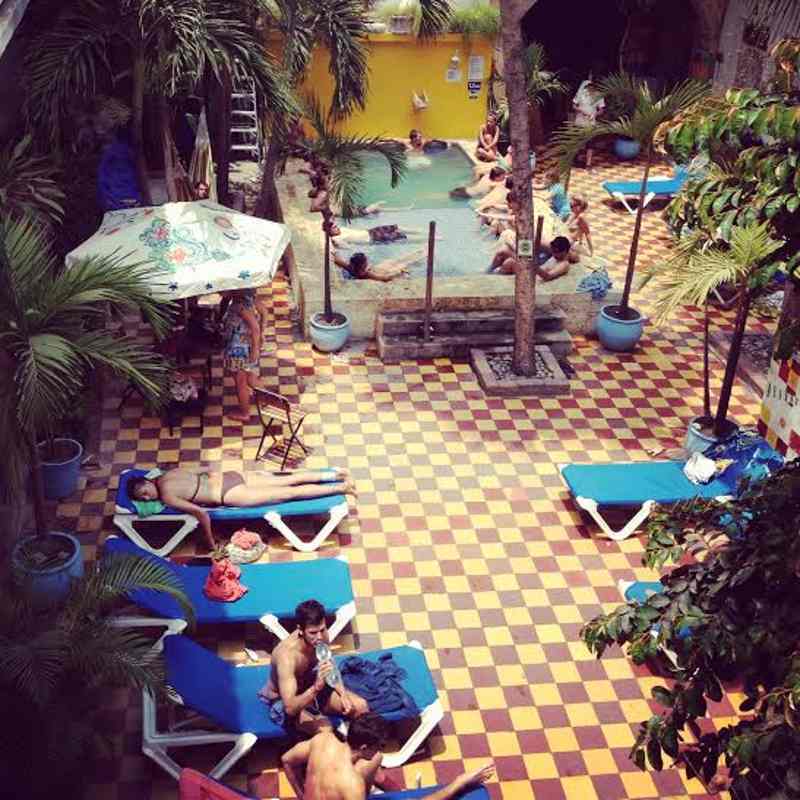 This 140 bed is Getsemani's largest hostel, and the second largest in the whole city. It excells at providing its young party-oriented guests with a great chilled out vibe, excellent tourism services and activities, and regular rooftop parties with DJs and live bands which draw tourists and locals alike. It also features the Red Moon restaurant next door, serving up tasty Mexican food. But the undisputed crown jewel of this trendy spot is the amazing tropical paradise patio and pool area, laid out in a central courtyard. It features towering plam trees and dozens of species of lush tropical foliage. 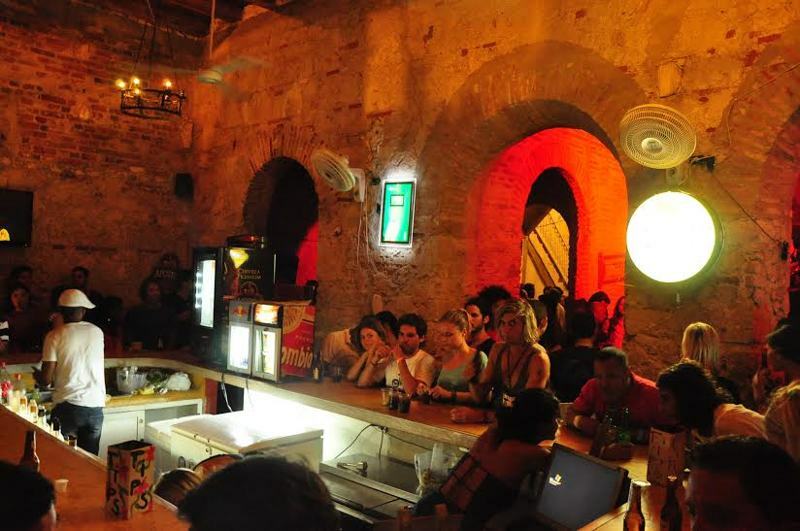 It's a great spot to meet fellow travelers, and creates a wonderful ambience for cooling off from the Cartagena heat. 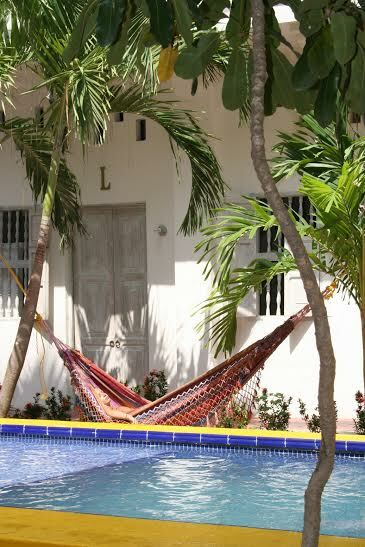 Neighborhood: The hostel is located on Calle de la Media Luna, Getsemani's main drag. It's a spectacular location, just a 5 minute walk from the central Torre de Reloj, and surrounded by great restaurants, bars, shops, and stores. 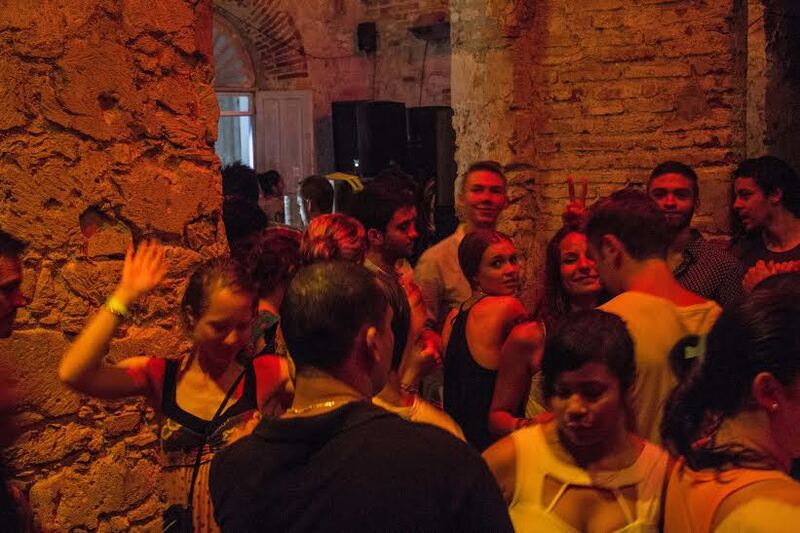 Getsemani is undergoing an indubitable tourism boom, which has turned a once marginal neighborhood into a thriving backpacker haven. Investment, both foreign and Colombian alike, is pouring into the neighborhood, converting run down colonial-style buildings into elegant restaurants and smart guesthouses. How to Get There: Whether you're arriving by bus from the Terminal de Transporte, plane at Rafael Nunez International Airport (CTG), or by shuttle van service, getting here is a breeze. From the airport, it's a flat $10.000 charge for a taxi. It's only about 5 kilometers, and should take 10 minutes, or perhaps 15 during rush hour. Management/Staff: This Colombian owned and managed hostel was instrumental in the transformation of the tourism sector in Getsemani. They've been here for six years and are enthusiastic about offering exciting trips and activities to their guests, many of which they run in-house. 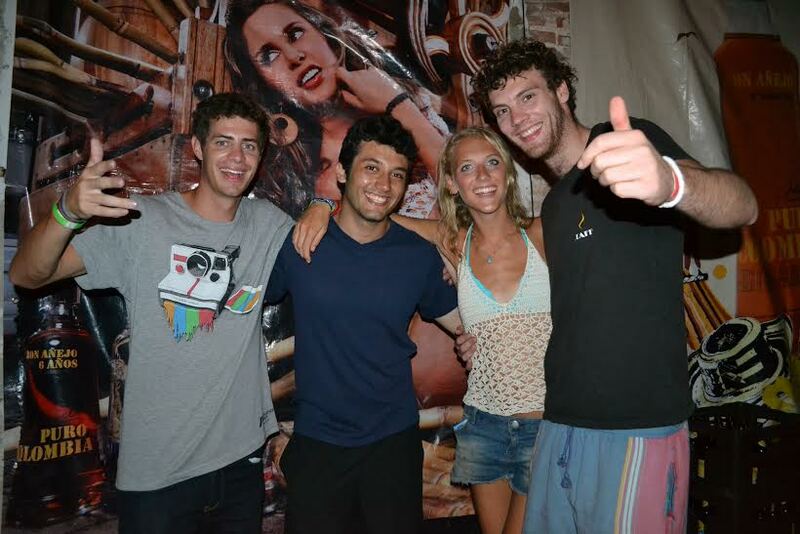 The hostel is well-staffed and efficiently run, and many employees speak English to some degree. Rooms: At 140 beds, it doesn't get much bigger than this. There are two floors of rooms, overlooking the central courtyard area. Note that prices may increase during high season (June, July, August, December, January, Semana Santa). Private Rooms: There are only 3 private rooms, one without private bath and two with. 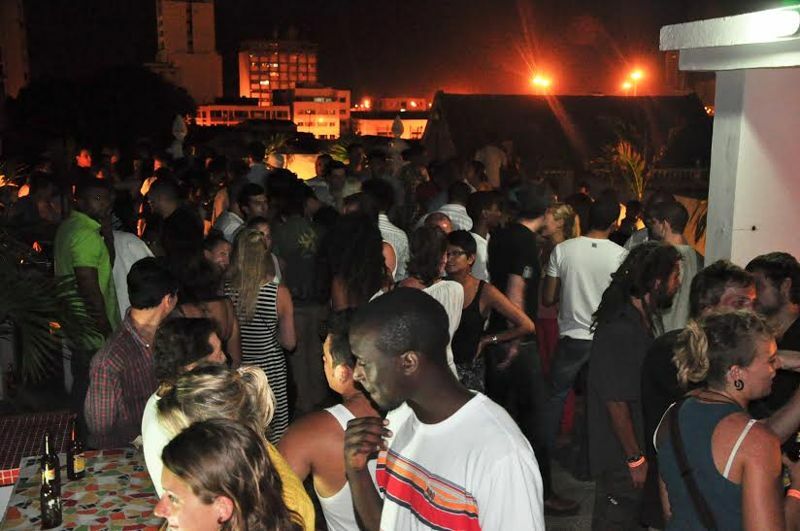 Amenities: Media Luna Hostel is famed for its Wednesday night parties when the rooftop terrace and bar areas come alive. The evenings also often feature live music from local bands. 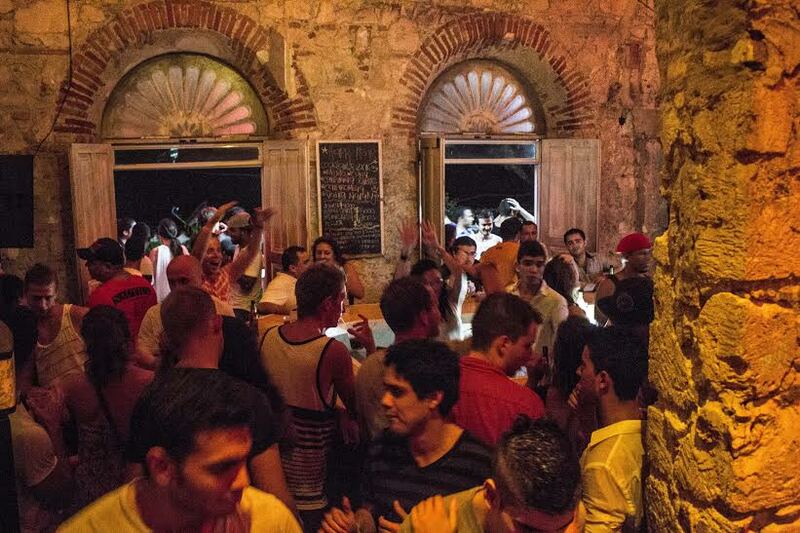 Wednesday night is traditionally Getsemani's big night out, and Media Luna offers the best party in the neighborhood, and the fun doesn't stop until 3am. The bar area also features daily happy hour specials. Media Luna offers a tourism desk right at the entrance that is staffed during the day. They are experts at helping you to maximize your time and stretch your tourism dollar. Talk to them about planning tours to the Islas del Rosario, Playa Blanca/Baru, city tours of Cartagena, el Volcan de Totumo (the famous mud volcano), la Boquilla (small fishing village north of the city), and planning transportation to other destinations in Colombia. In addition to the Wednesday night fun, Media Luna also offers their legendary Sunday night boat cruises with drinks and dancing. It's an event not to be missed! Finally, the management team at Media Luna is even launching the first official tourism facilities in the Baru/Playa Blanca region: "Media Luna Baru". They will offer five cabanas complete with housing for up to 45 people. The focal hang-out point, is of course the pool, which is open until 8PM, and features a shallow end and a deep end of 1.3 meters. There's also a ping-pong table, and a television lounge with hundreds of satellite channels and ice cold air conditioning. Kitchen: There is an excellent kitchen for guest use. It is open until 11PM. Restaurant: There is a hostel restaurant called Red Moon located onsite, which features Mexican food, and other tasty options. Bar: The Media Luna bar serves up delicious mixed drinks and beer. Computers: Yes, there are free computers for guest use. Wifi: Yes, there is free wifi. Bicycles: Yes. Guests can rent bicycles for the incredible price of $4.000 an hour! Luggage Storage: Yes, guests may store luggage for free at Media Luna. Conclusion: If you're looking for a great place to meet people, enjoy great night time entertainment, and quickly get plugged into all the day trips and activities taking place around the city, then this is your place. Media Luna Hostel is a testament to the massive transformation that Getsemani has undergone in recent years, and the management and staff have done a remarkable job of repurposing a beautiful old building for a new use, retaining many of the original colonial architectural elements of this grand, old neighborhood. Whether you're traveling solo or with a large group, Media Luna Hostel should be at the top of your list. 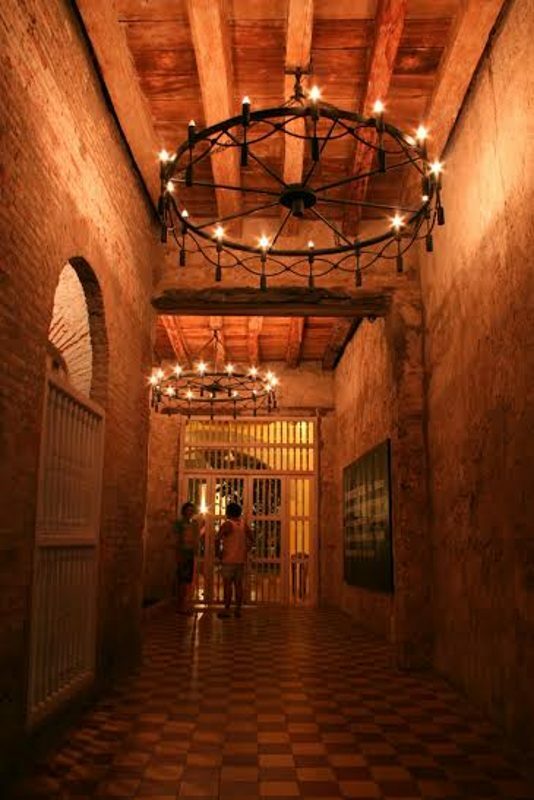 They make it easy for you to see the best that Cartagena and Bolivar have to offer!